Learn about important foods the find out how to lower blood sugar fast. If you have diabetes, you know that you can become symptomatic about an hour or so after eating a large meal. Symptoms that may occur include a headache or brain fog, making concentration more difficult. 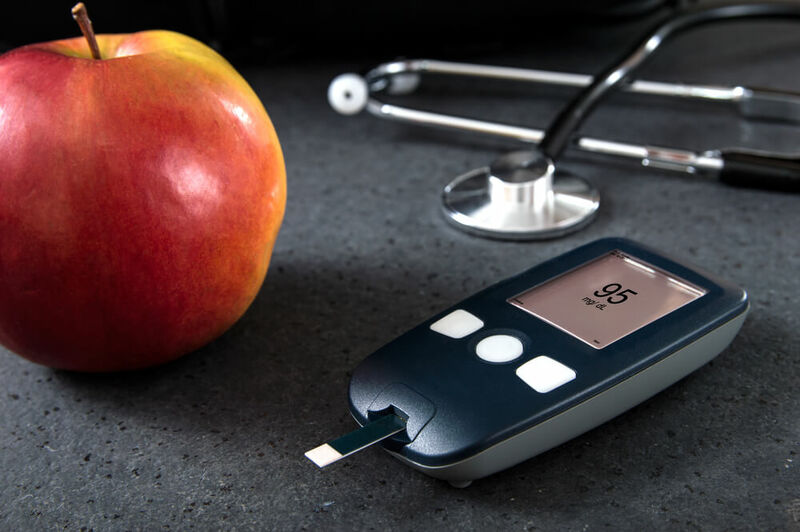 You may test your glucose level and discover that it is high, but you cannot take more medication at this time because that would put you over your daily dosage. To solve your dilemma, you should know how to quickly lower blood sugar without medication. Click here for a list of foods that lower blood sugar. Two hours after meals, your level should be less than 180 mg/dL (10 mmol/L). During times of fasting your level should be 80-130 mg/dL (4.4-7.2 mmol/L. If your blood sugar level is high, but not acutely high, there are things that you can do to remedy the situation. One of the most important things to do is to make sure that you are sufficiently hydrated. Drinking water can assist in lowering high blood sugar, and can also aid in eliminating some of the sugar out of your system. To be on the safe side and remain well hydrated, try to drink at least 8 to 10 glasses of water each day. How to lower blood sugar fast also includes being active. If your blood sugar levels are high, begin to do some exercises. Exercising can help to eliminate sugar from the bloodstream because your muscle cells will start to burn up the sugar as energy. Exercise has been proven to lower high blood sugar levels quickly and easily. You will find that a 15 to 20-minute walk can reduce high blood sugar levels, especially after eating dessert. Exercise should be a part of your daily routine, but you should also include it, along with drinking water, when you need to lower your blood sugar quickly. Protein and healthy fats include: chicken, turkey, wild fish, cheese, eggs, and plain or non-fat yogurt. Green tea is known to enhance glucose metabolism and insulin sensitivity. It also promotes healing by encouraging relaxation and de-stressing. Avocado is another one of our foods that lower blood sugar, and is also a great source of amino acids, fiber, B vitamins and minerals. Cinnamon is a wonderful remedy for lowering blood sugar levels and improving insulin sensitivity. How to quickly lower blood sugar should include eating spinach and broccoli. These foods are a great source of fiber that slows down the release of sugar from our cells. An ounce of almonds will lower blood sugar levels and high blood pressure too. Lentils are a great source of protein and fiber, and also lowers blood sugar levels.